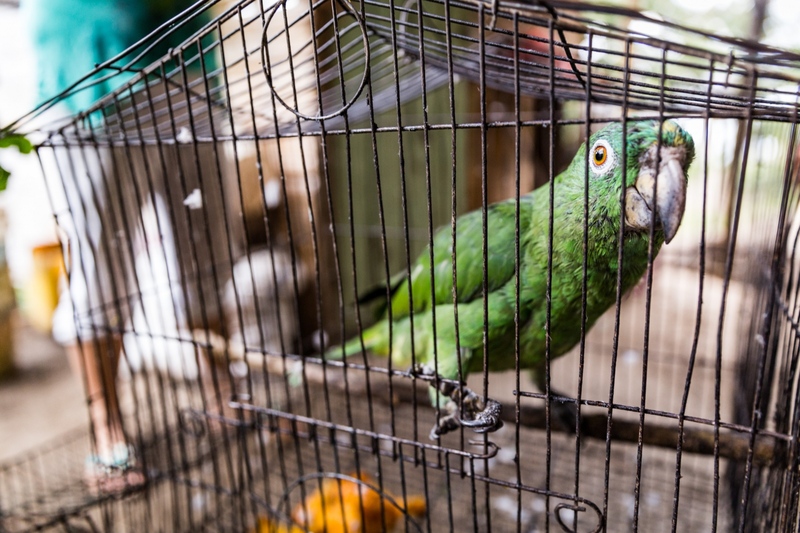 Colombia is number two in the world in terms of biodiversity, but it’s not only nature that relies on the country's unique habitats. 35 million people rely on the Colombian Andes for water, much of it originating in the cloud forests and paramo. These areas face significant challenges ranging from poor local land management to hot, dry, unstable weather due to climate change. 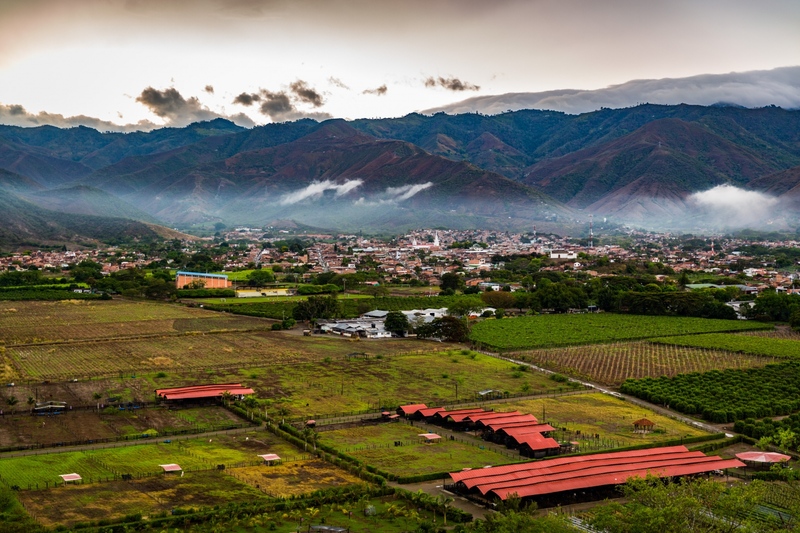 In 2015, Colombia's Valle del Cauca suffered the lowest levels of downstream flow ever, with many towns in the foothills turning off local water service for up to 12 hours a day. 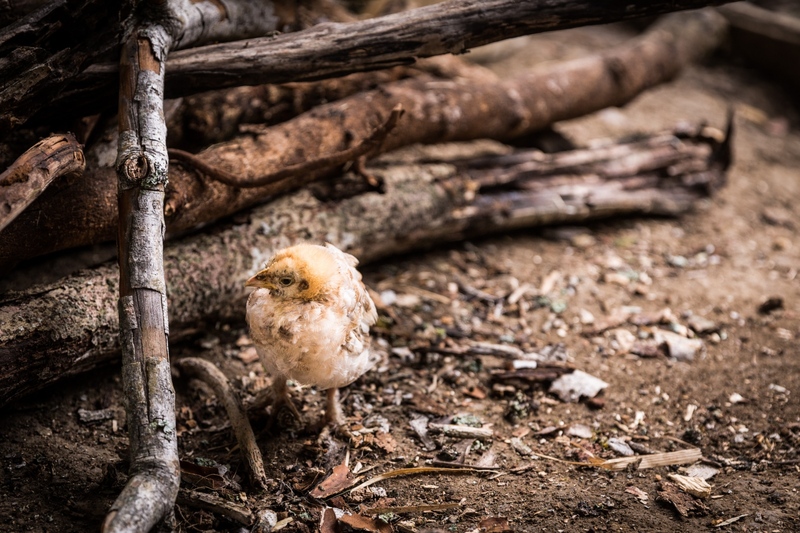 In the El Rincon microwatershed, landowner Don Manuel Vicente Restrepo is trying to do something about it. Working with the international conservation group, Rare, and the regional environmental authority La Corporación Autónoma Regional del Valle del Cauca, or CVC, Manuel is proactively changing the way he farms his land to help protect the water sources and water courses on his farm. 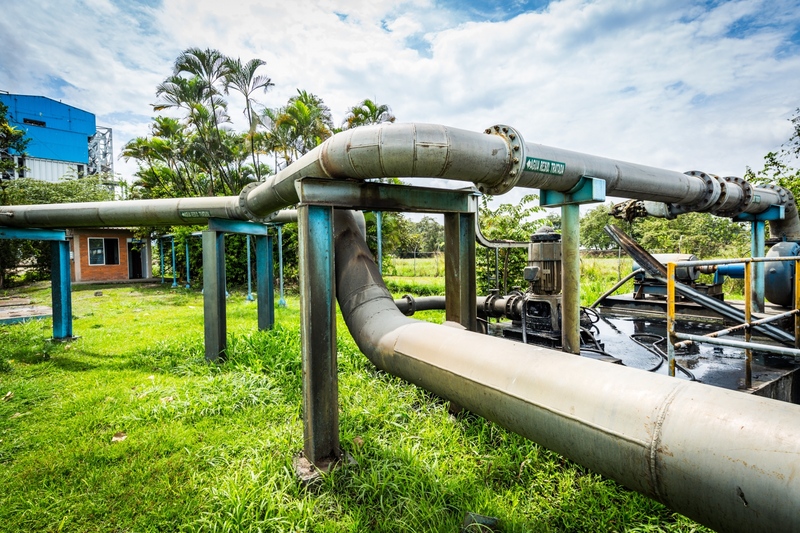 Through an innovative program of Reciprocal Water Agreements, or Acuerdos Recipricos por Agua (ARAs) in Spanish, downstream water users help fund upstream improvements through a water use tax that goes into a special conservation fund. 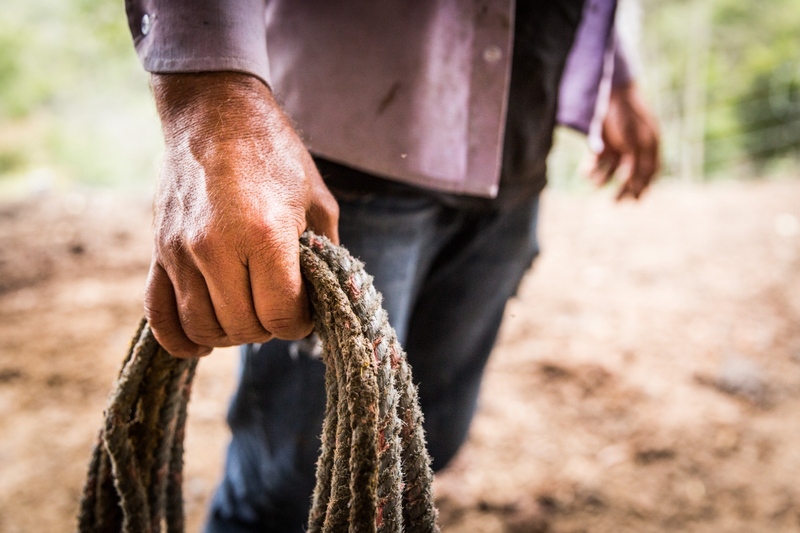 Incentives for the upstream landowners include fencing to manage cattle more sustainably, transitions to more diverse agroforestry, and help planning and protecting natural buffer zones in riparian areas. The results include both improved economic development for the upstream farmers like Manuel as well as improved water quality and supply throughout the watershed. Please contact me for more information on or a full edit of images from this project. 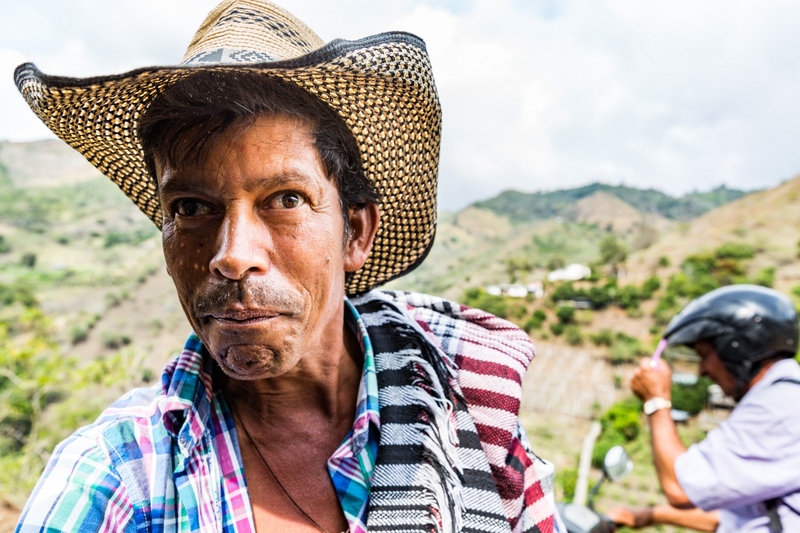 Don Manuel Vicente Restrepo is a farmer in El Rincon, upstream from La Unión where his land includes several headwaters that supply the valley below. 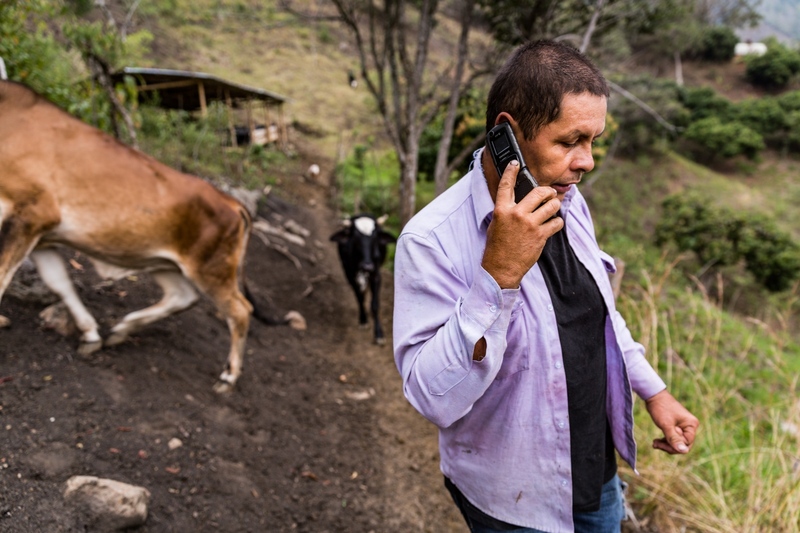 Through reciprocal agreements with water utilities and users in La Unión, Manuel receives incentives in the form of planning and infrastructure to more sustainably mange his land, including help with crop and grazing rotations, support for conservation easements near water courses, assistance with converting to agroforestry, and basic infrastructure such as fencing and building materials to make it all possible. Manuel has gone from subsistence farming to being a leader in his community, employing neighbors in and teaching neighbors about the projects he is implementing. La Unión, Colombia with El Rincon in the background. 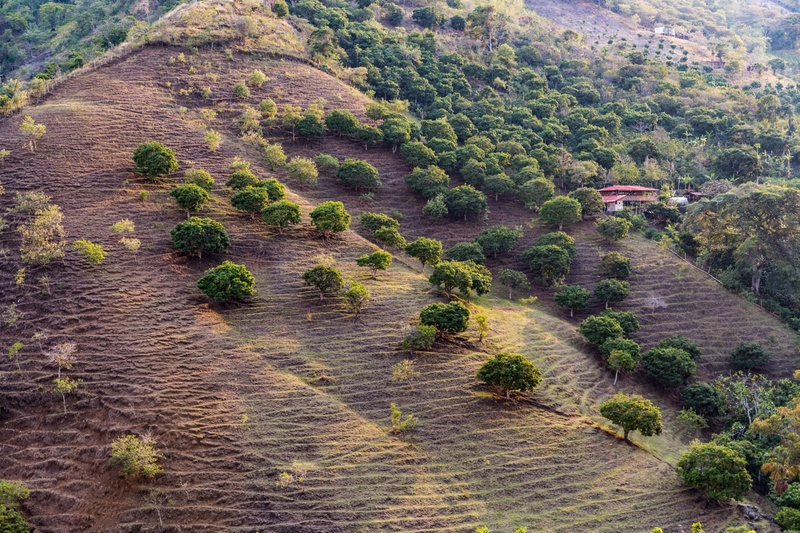 Don Manuel Vicente Restrepo’s house sits on the border of his well-forested land and his neighbor’s overgrazed and cow-tracked hillside. Incentives from Reciprocal Water Agreements, or Acuerdos Recíprocos por Agua (ARAs) in Spanish, and his growing awareness of the benefit of more sustainable agroforestry practices have led Manuel to reimagine how he works his land; he plants diverse crops to help prevent erosion and builds fences to keep his cattle contained and off the exposed hillsides and out of the streams that lead to downstream communities. 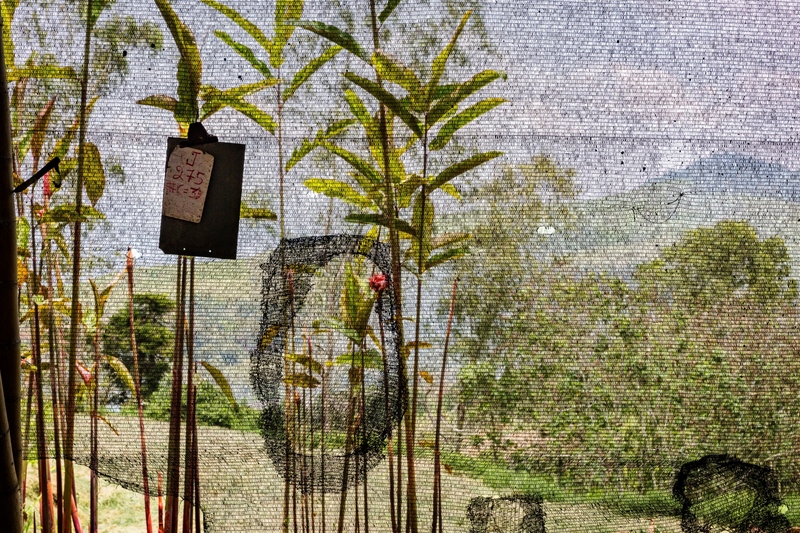 Don Manuel Vicente Restrepo has been cross breeding mangos to produce a larger, more flavorful variety. 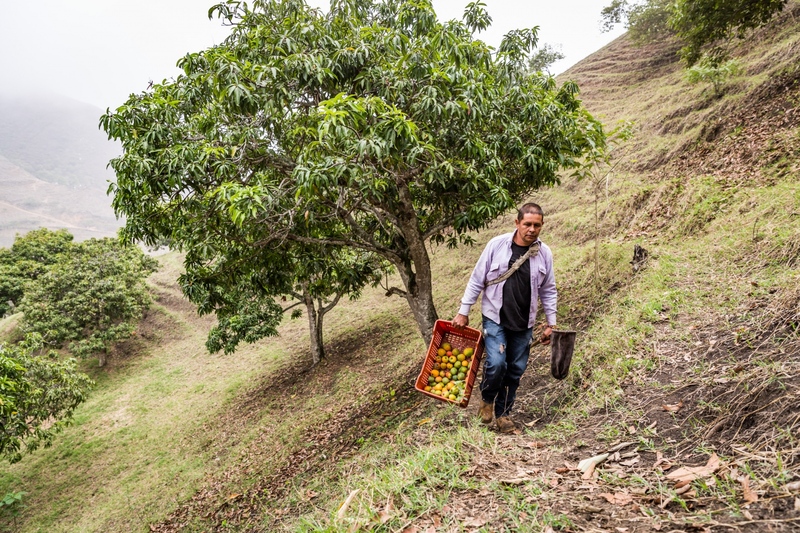 Don Manuel Vicente Restrepo picks fallow mangos from his neighbor's land -- land denuded by cattle and not part of the ARA program -- and sells them to wholesalers in La Unión, Colombia. 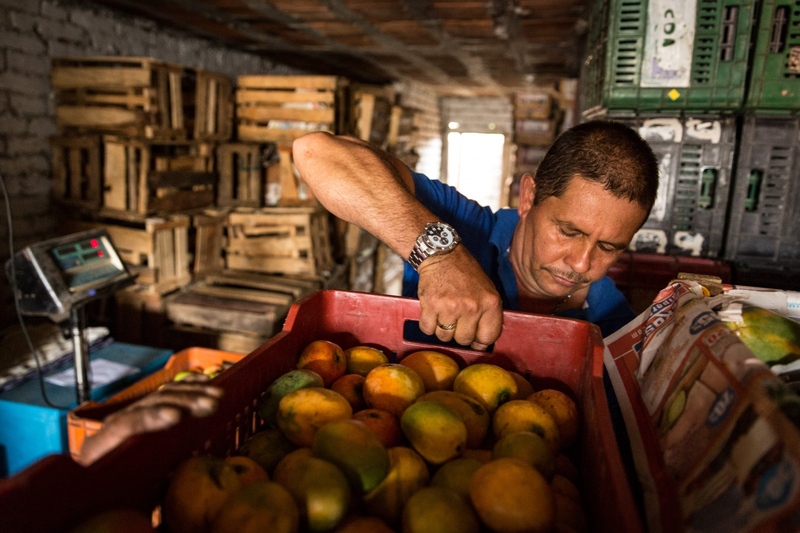 Selling mangos to Jose Ignacio Geraldo's wholesale operation in La Unión, Colombia. 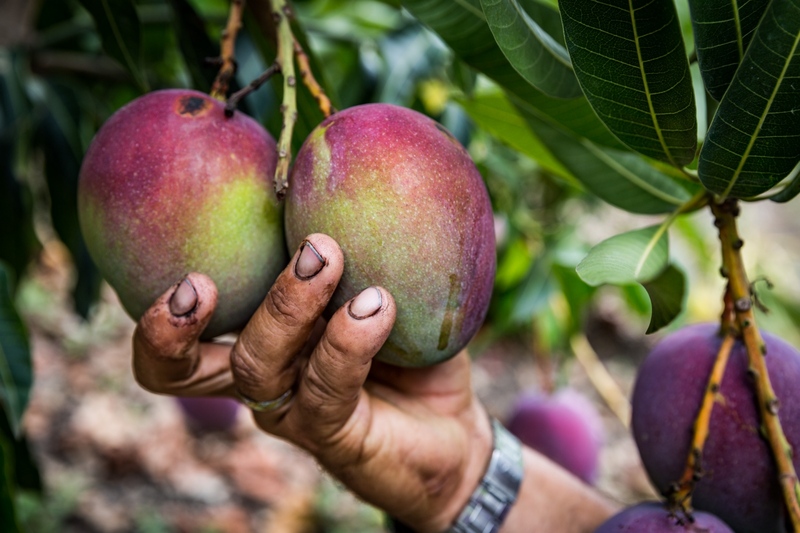 Don Manuel Vicente Restrepo picks fallow mangos from his neighbor's land -- land denuded by cattle and not part of the ARA program -- and sells them to wholesalers in La Unión, Colombia. Family Pet. El Rincon, Colombia. 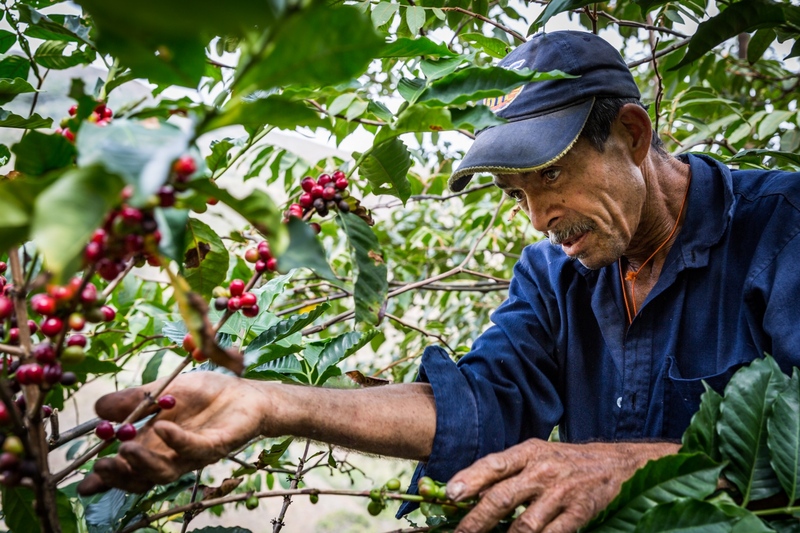 Don Manuel Vicente Restrepo is trying to improve the quality of his coffee for sale through local cooperatives, which will get him higher prices. 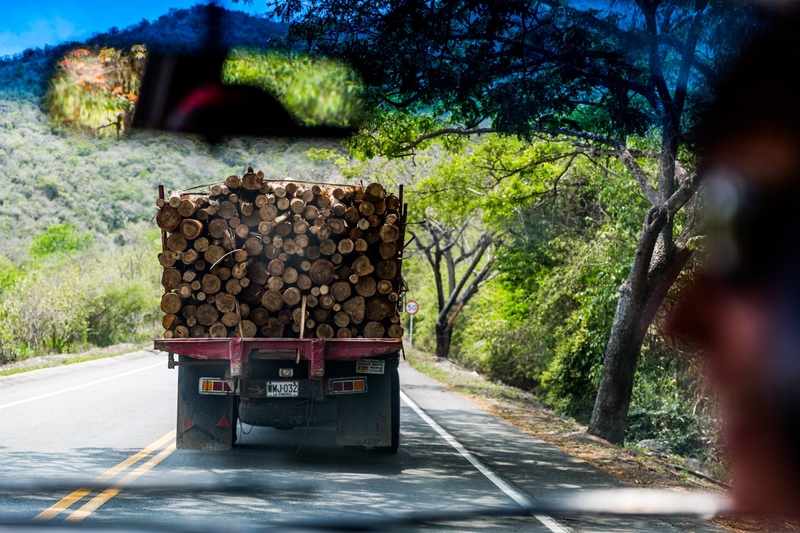 Logs being trucked out of La Unión in Valle Del Cauca, Colombia. 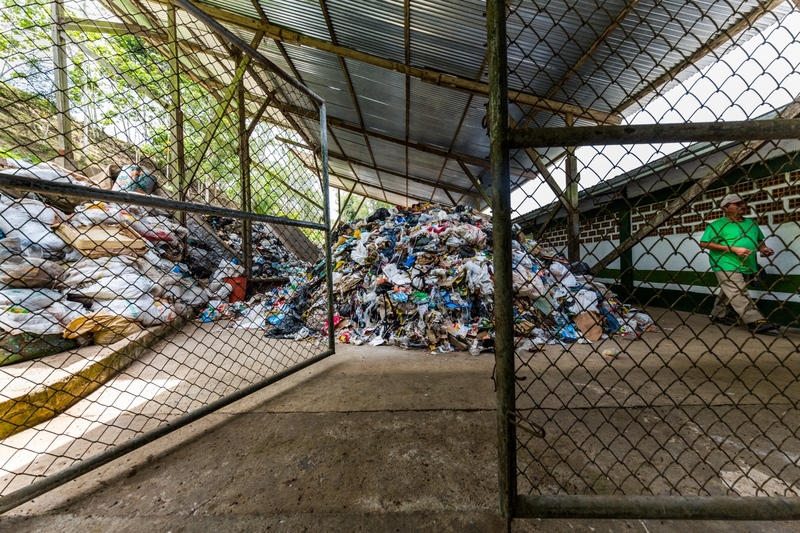 Trash, recycling, and compost collection and processing center in Versalles, Colombia. Lack of solid waste services in rural communities poses a significant threat to water quality for the entire watershed. 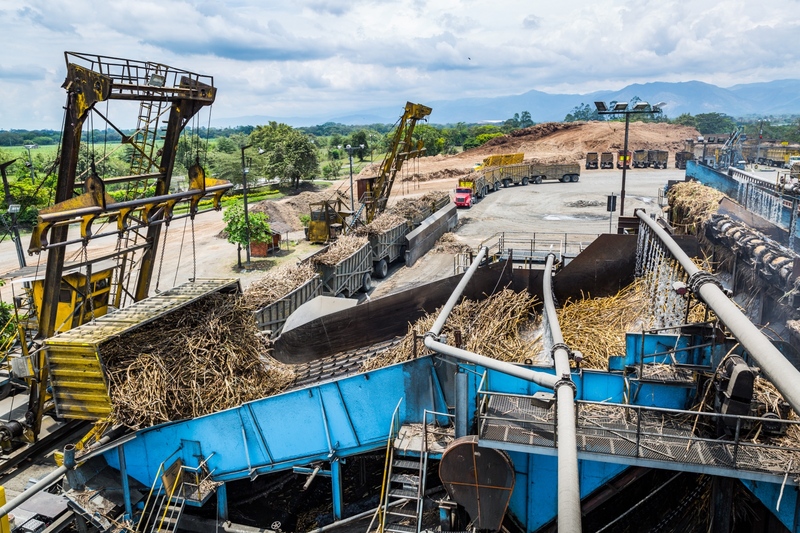 Versalles, Colombia is trying to expand solid waste services to surrounding rural communities. 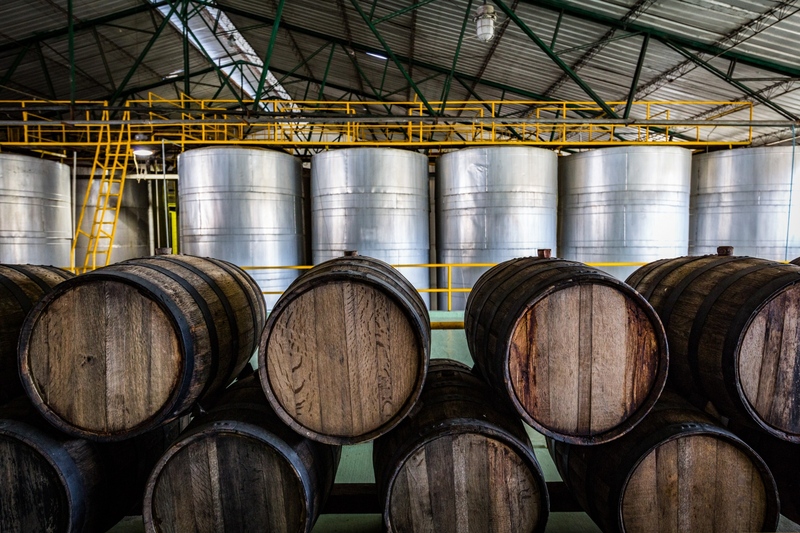 Casa Grajales in La Unión, Colombia, is the largest wine producer in Colombia. they also process fruit and produce juices. Riopaila-Castilla in Zarzal, Colombia in the Valle Del Cauca is the largest sugar producer in Colombia. Several years ago they almost shut down due to water shortages. 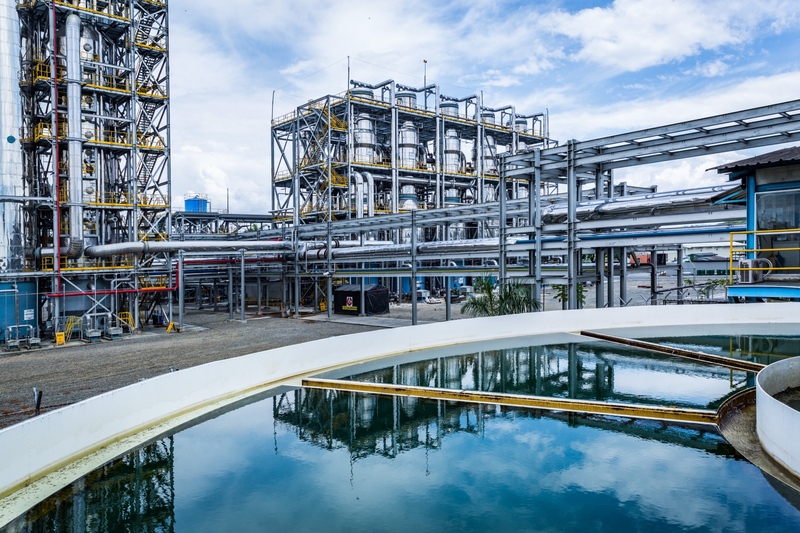 As a result they have implemented extreme water conservation programs, cutting their water use in half in one year and now reusing over 90% of the water that moves through their plant. Riopaila-Castilla in Zarzal, Colombia in the Valle Del Cauca is the largest sugar producer in Colombia. Several years ago they almost shut down due to water shortages. 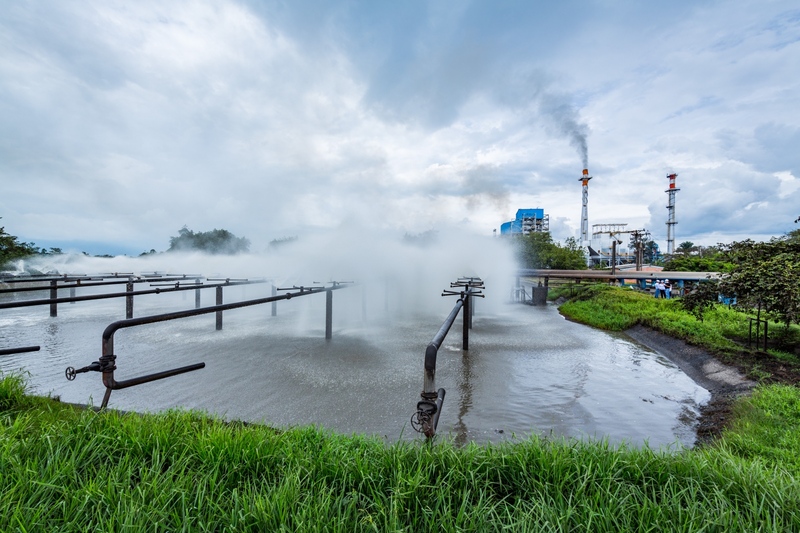 As a result they have implemented extreme water conservation programs, cutting their water use by half in one year and now reusing over 90% of the water that flows through their plant. 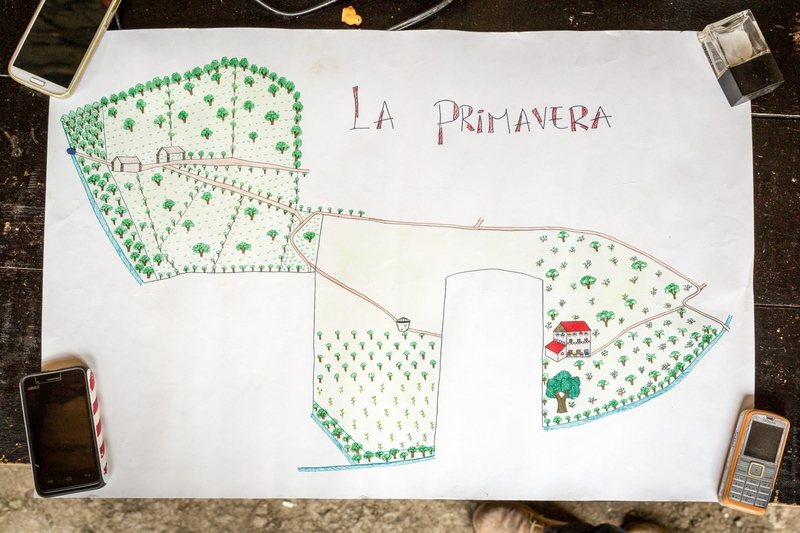 Drawing made by Don Manuel Vicente Restrepo's daughter showing land use planning on their farm. El Rincon, Colombia. 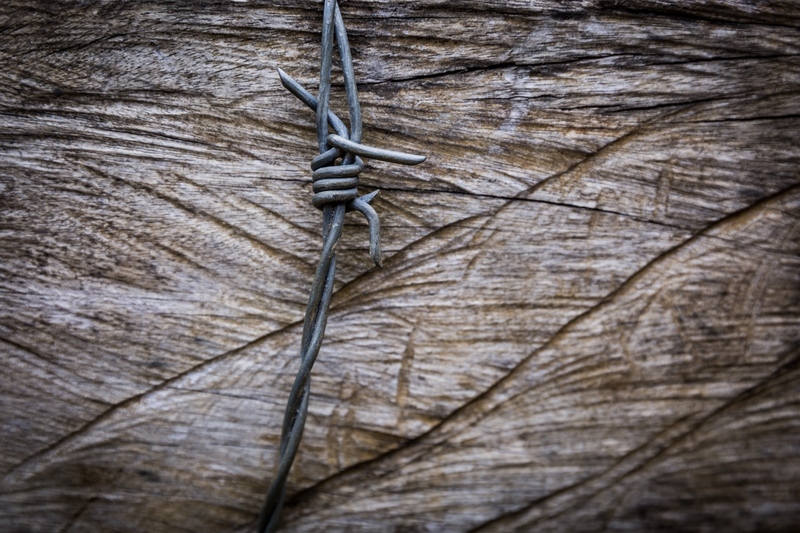 Barbed wire is a common incentive supplied as part of ARAs. 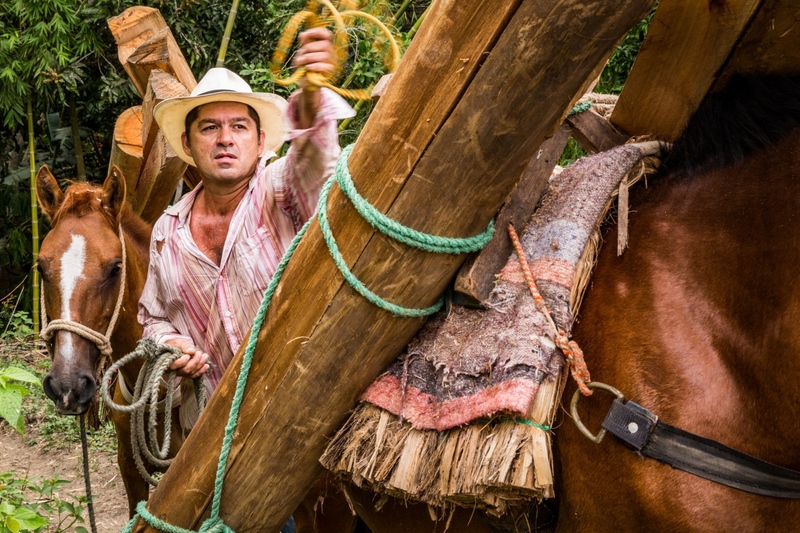 Don Angel Felipe Arias helps haul fence posts up to Don Manuel Vicente Restrepo's farm that will be used for rotational grazing. 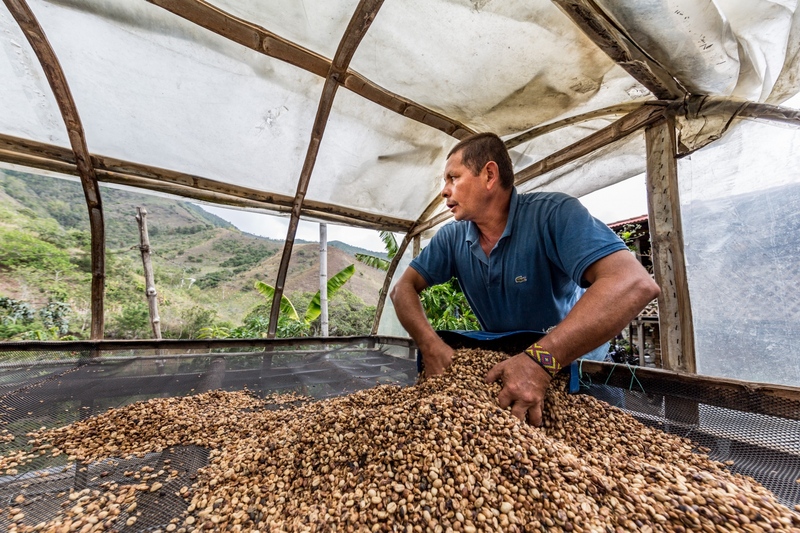 Don Livardo Carmona in El Rincon, Colombia lost his entire coffee crop last year due to unusually hot dry weather made worse by poor land management practices and climate change. 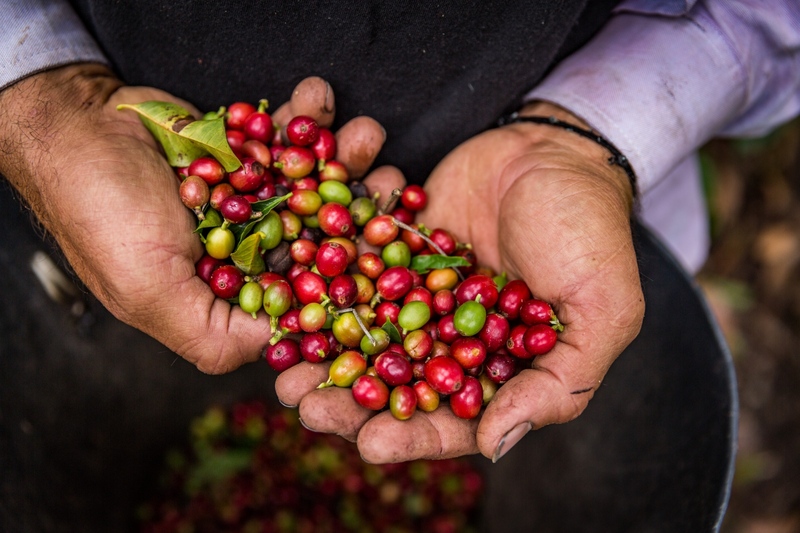 He's skeptical of downstream authorities as may independent farmers are, but is considering participating in an ARA as a way to support converting from coffee to more diverse agroforestry featuring fruits.